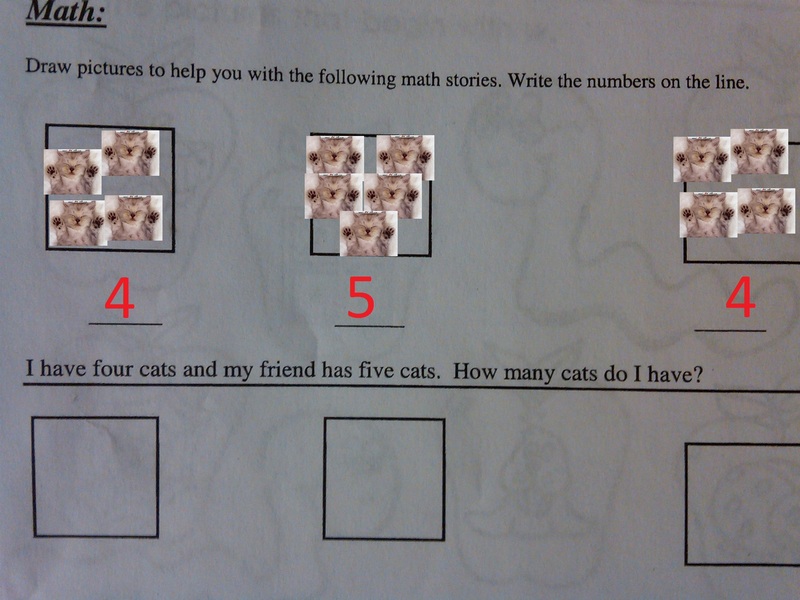 Can someone help me with my 5-year-old daughter’s Math homework? I’m being serious. It’s due tomorrow and I have no idea how to answer the following question. 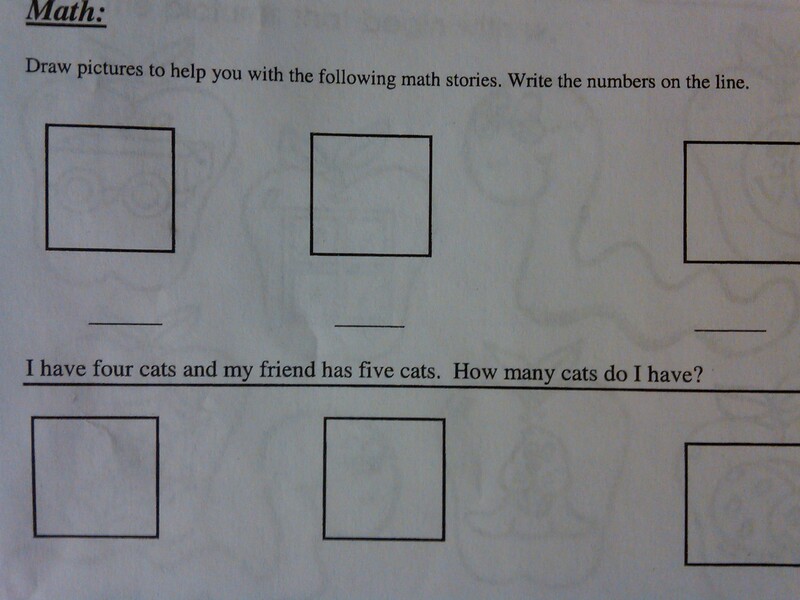 Now, the answer to this is obviously “four.” The narrator has four cats. 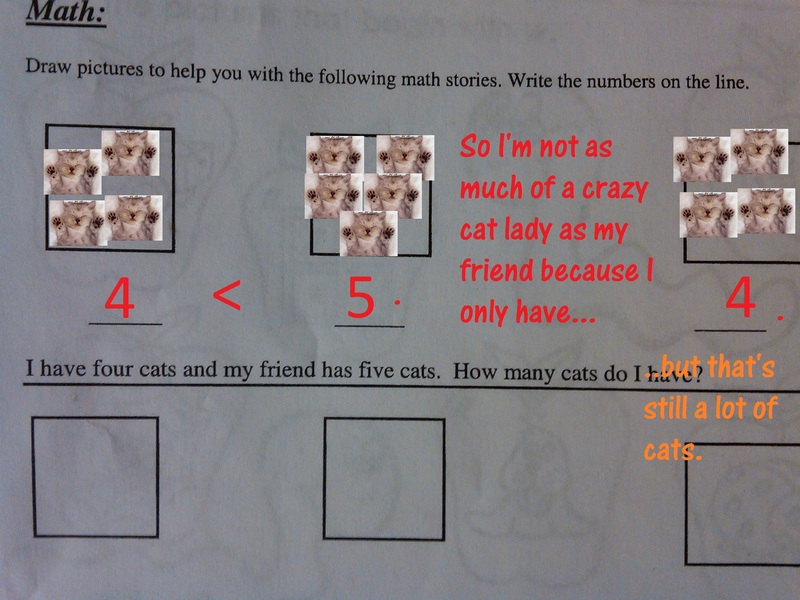 The number of cats his or her friend has is irrelevant to the question. I’m just not sure how to fill in the pictures and symbols. Here’s what I have so far. But I’m not sure what to put in between. So here’s my final answer. Please check my work. Previous Entry:Please give your students this quiz, and how big is a “bushel” anyway?